John MacArthur | Open Our Eyes, Lord! Two of my essays included in a new collection! 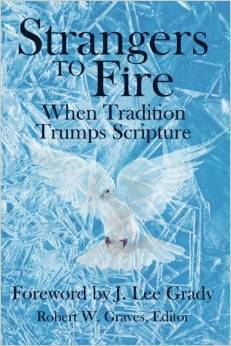 They have just published a pair if my essays in Strangers to Fire: When Tradition Trumps Scripture. It’s now available on Amazon. You might recognize the title as a response to John MacArthur’s book, Strange Fire: The Danger of Offending the Holy Spirit with Counterfeit Worship. "I am the Lord that healeth thee"